League of Legends came in second for free-to-play games when it comes to revenue in 2013. 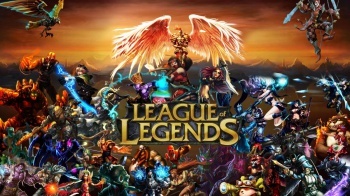 Riot Games' Multiplayer Online Battle Arena (MOBA) title League of Legends managed to total $624 million in revenue for 2013, placing it as the second highest earning free-to-play title according to SuperData's report. While this an impressive sum, it was bested by Korean F2P shooter, CrossFire, which managed to earn $957 million last year. Valve managed to break the top ten with two titles, as Counter-Strike Online brought in $121 million, while Team Fortress 2 settled at the ninth spot with $139 million. The full top ten list along with the games' earnings in 2013 can be seen below. As a whole, the digital games market in the US grew by 11%, which translated to $11.7 billion in sales for 2013. The F2P market showed the biggest growth increasing by 45% year-on-year, while mobile games represented the biggest cut of the pie with a 26% share. Are you surprised at how much money F2P games earn these days and do you think gaming is headed to a F2P future?